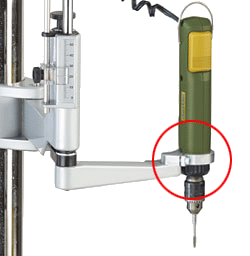 Individually available adapter enables use in combination with MIS 1 for cutting threads ! Made in Europe. 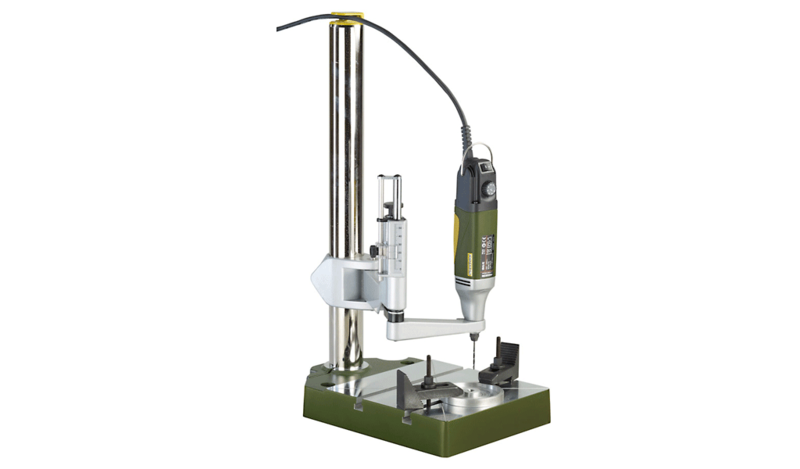 An accurate device for parallel drilling, thread-cutting and milling. Made of high-precision aluminium die-casting. With 20mm MICROMOT collar. 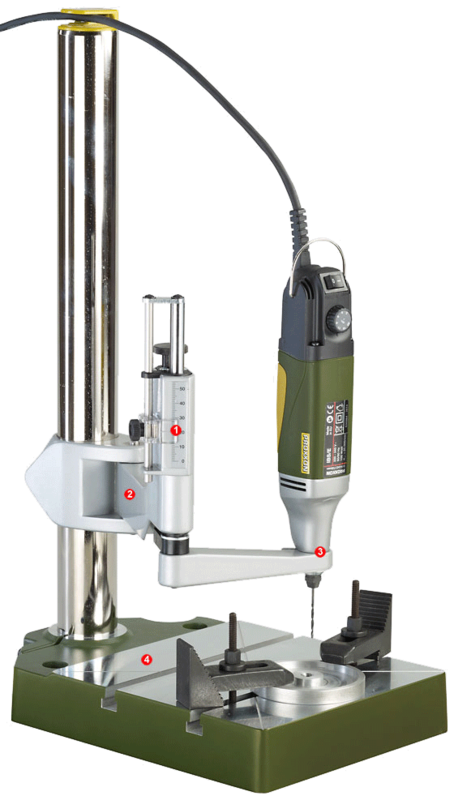 Professional drill/grinder IBS/E, MIS 1 and step clamps are not included in the scope of delivery. Due to the practical rocker switch for on/off/reverse and a rotational speed of 250rpm the MIS 1 is ideal for cutting threads: The thread cutter is precisely guided and ensures very precise and exact vertical female threads.